The Beatles’ Music Live Again! 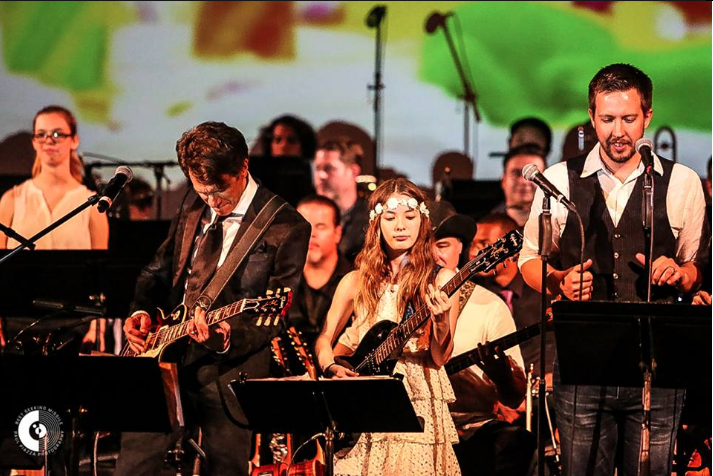 “And in the end, the love you take, is equal to the love you make” …SPMA Beatles Guitar Project expands its ambitious Beatles repertoire with a massive fall fundraiser celebrating the 50th anniversary of the release of The Beatles Abbey Road album + 1967’s phenom soundtrack to Magical Mystery Tour. Released in the U.K. on Sept 26, 1969, Abbey Road would become the final and critically acclaimed Beatles album. Aside from a spontaneous rooftop performance at their recording studio in London while recording the album “Let It Be,” Beatles fans never got to hear them play live again. 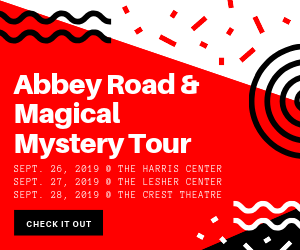 SPMA Artistic Director, Benjamin J. McClara, has painstakingly transcribed and arranged both Abbey Road & Magical Mystery Tour for Rhythm Section, Strings, Woodwinds, Brass, Percussion & Choir. Both albums will be performed in full in the original order. Forty of the best professional musicians from the greater Sacramento Area, have collaborated & come together for this concert, in an effort to raise funding to support and advance music education through SPMA including The SPMA Guitar Project & the SPMA Scholarship Fund, which helps to bring music education and guitar programs to underserved schools in the greater Sacramento region. The 50th Anniversary of The Beatles Abbey Road & Magical Mystery Tour will feature our Master of Ceremonies and 2018 Sammie Award Winner (Best Live Entertainer) Peter Petty. News Radio KFBK afternoon anchor Kitty O’Neal and her husband, Paragary’s Corporate Executive Chef and guitarist Kurt Spataro (who front their own band, Skyler’s Pool,) along with Sacramento greats Gabe Nelson (Cake/Bellygunner), Casey Lipka (Classical Revolution), Hans Eberbach ( Joy & Madness) and guitarist Greg Williams. SPMA founder Benjamin J. McClara will lead the giant orchestra through both masterpiece albums –there were no filler tracks with the Beatles! “Come Together”, “Here Comes The Sun”, “Something”; “I Am The Walrus,” “Strawberry Fields Forever”, “All You Need Is Love,” “Penny Lane” “Golden Slumbers, Carry That Weight, The End — who doesn’t know every note and all the words ?